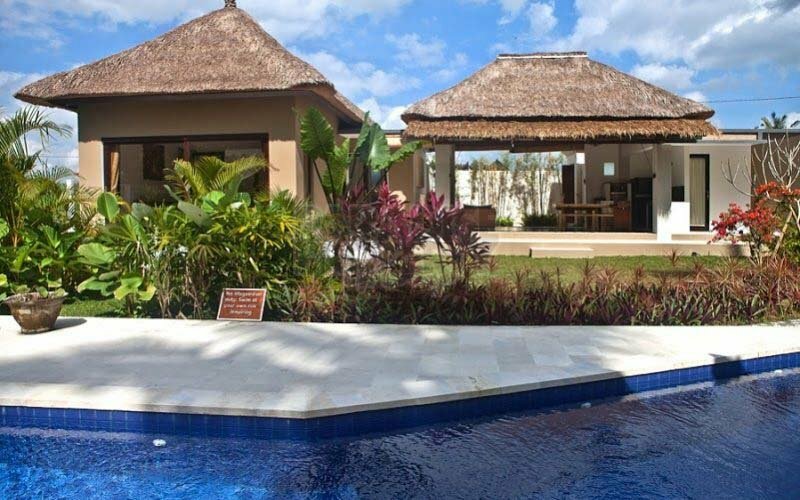 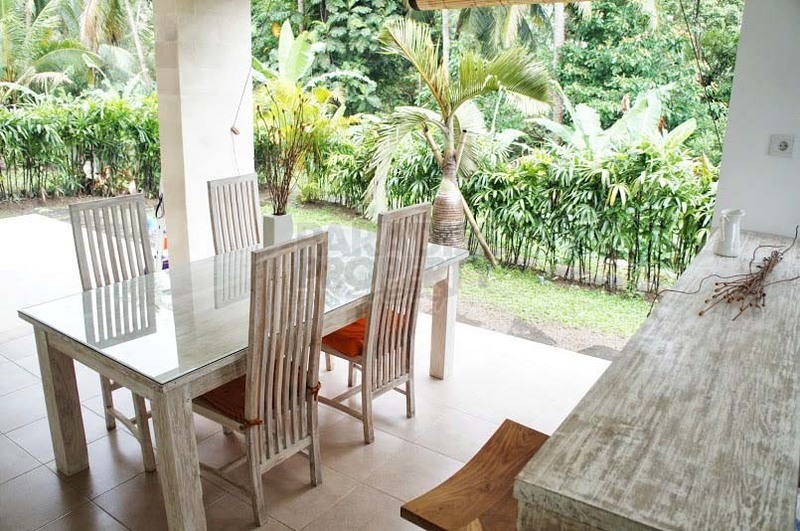 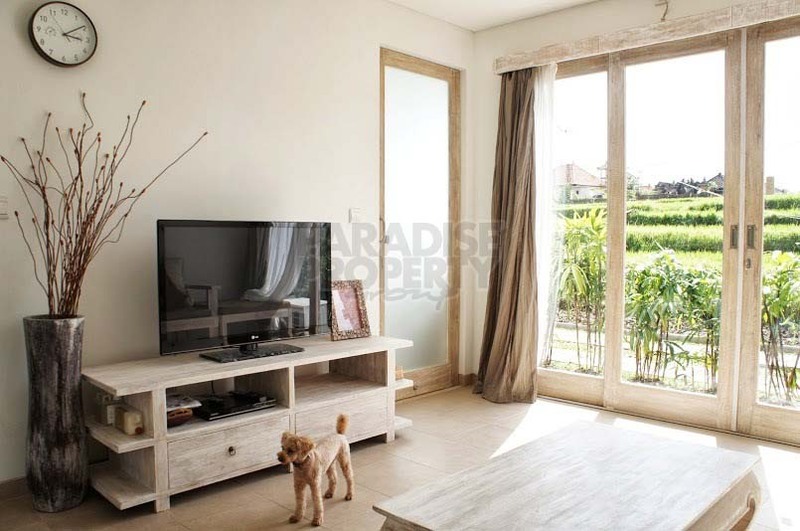 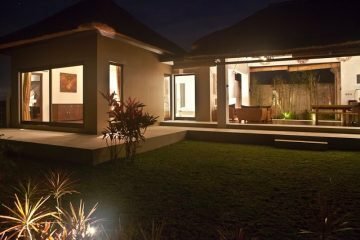 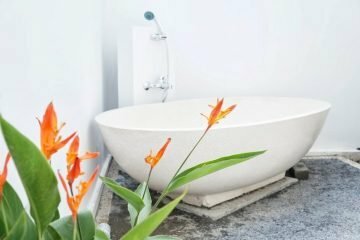 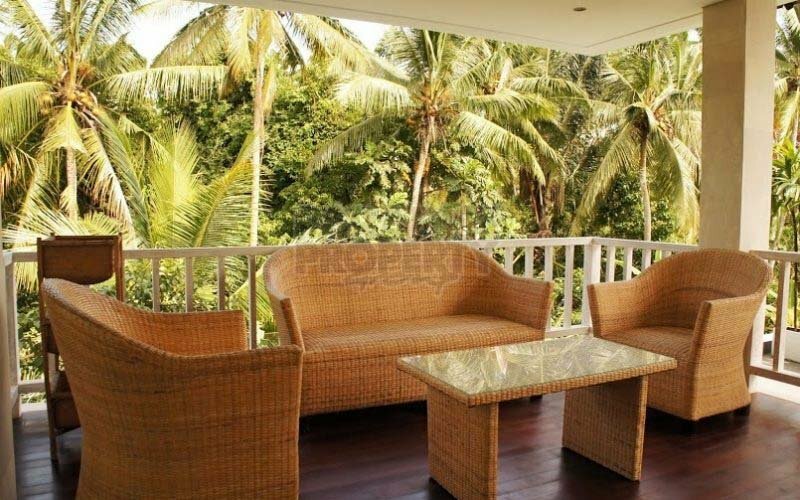 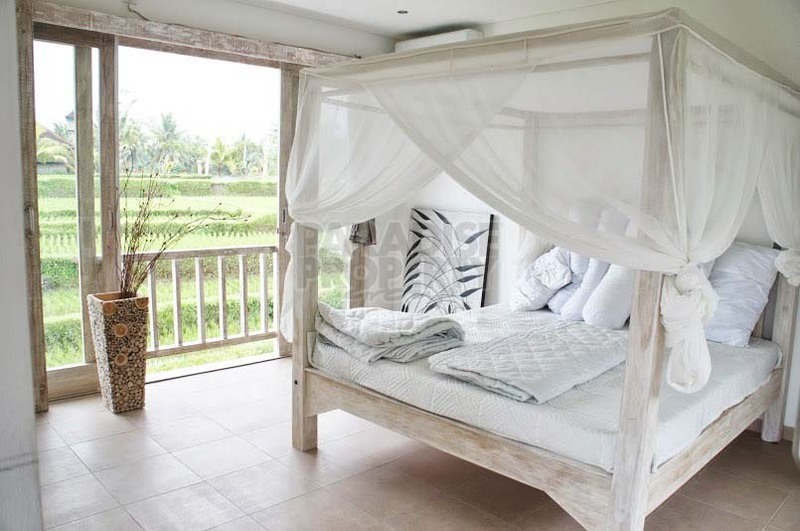 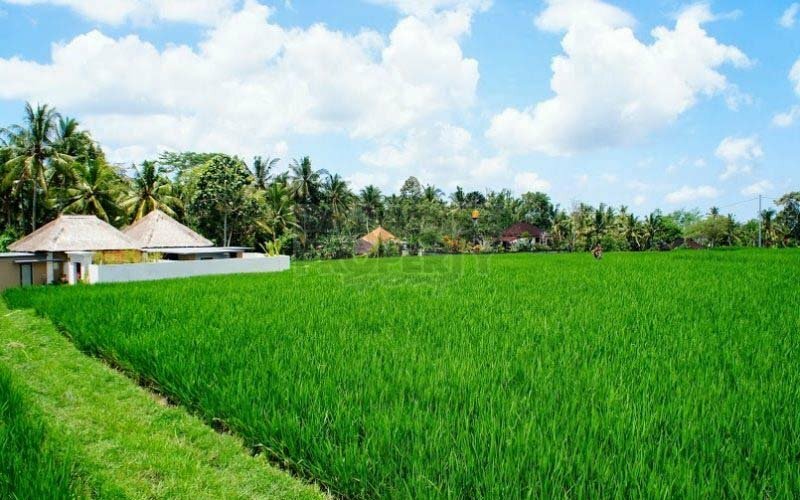 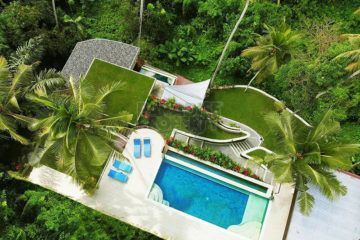 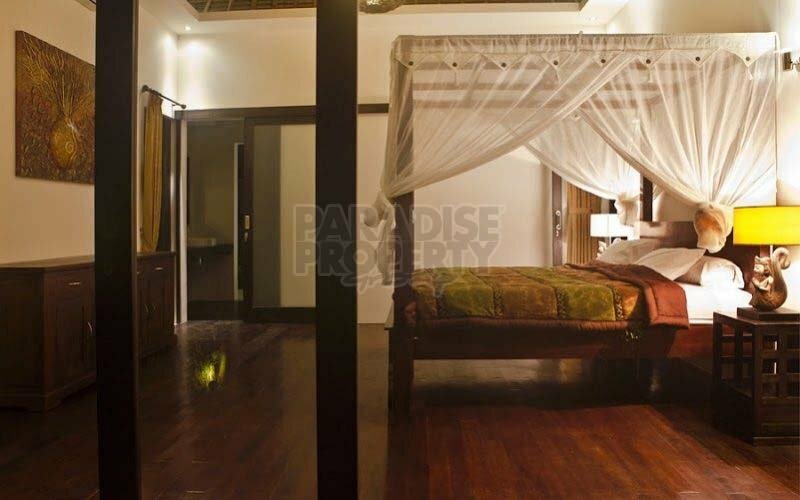 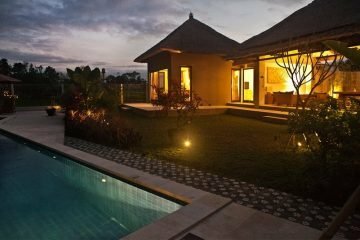 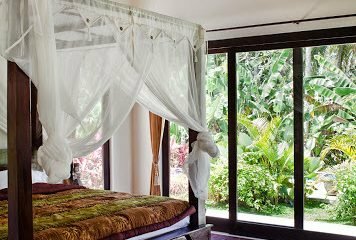 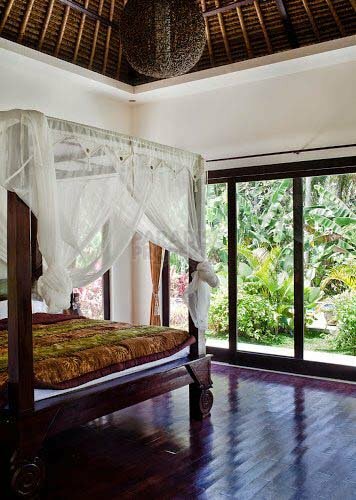 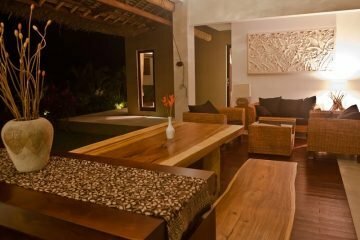 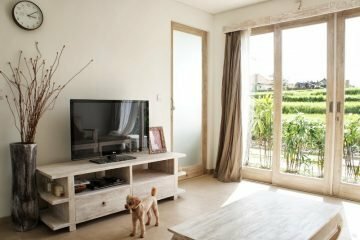 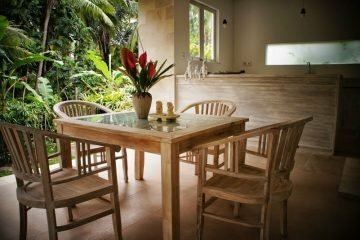 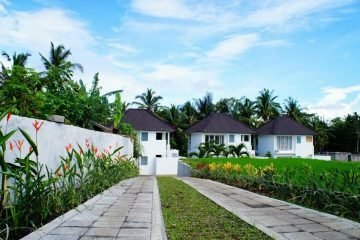 This designer-built private villa complex in a desired location a few minutes north of Ubud centre is surrounded by luscious rice fields and has gorgeous tropical jungle terrain views. 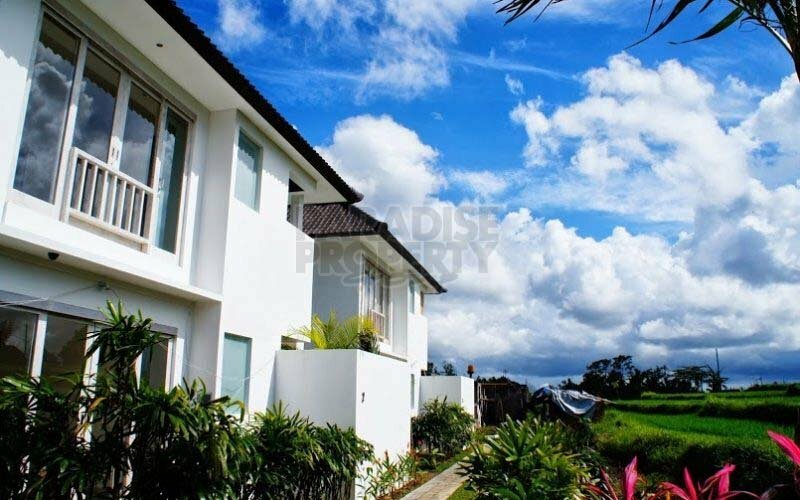 Good private road access leads to a large parking space. 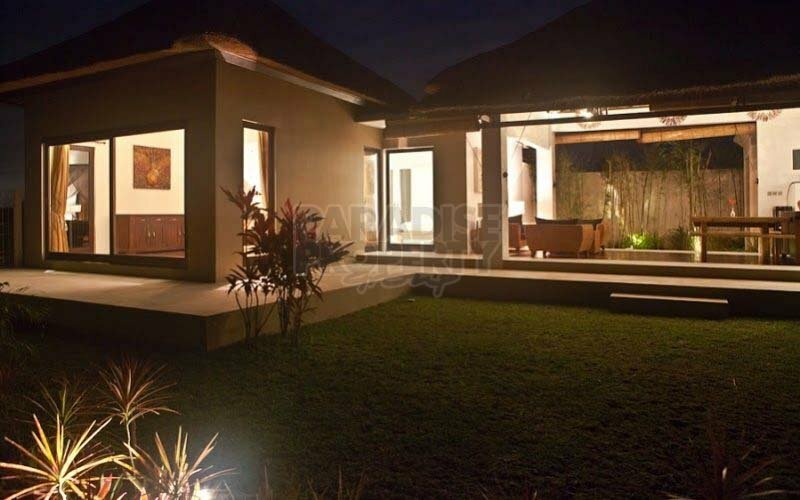 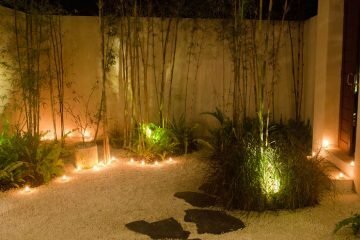 Utmost privacy and seclusion of these villas blend with the accessability to the neighborhood with small restaurants and shops in walking distance. 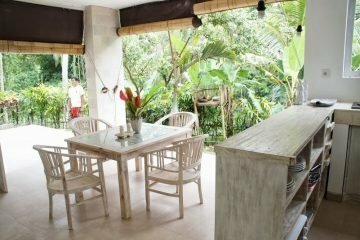 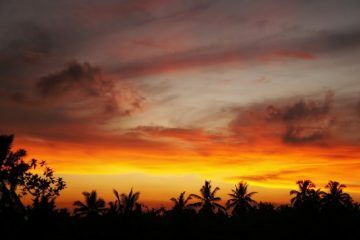 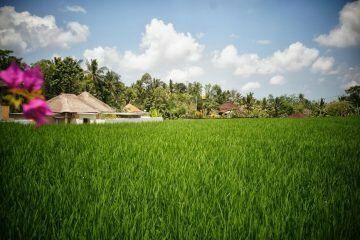 And the wide range of Ubud’s restaurants, spas and Yoga retreats, art galleries, shops and the rich cultural and traditional life of this extraordinary Balinese town are only minutes away. 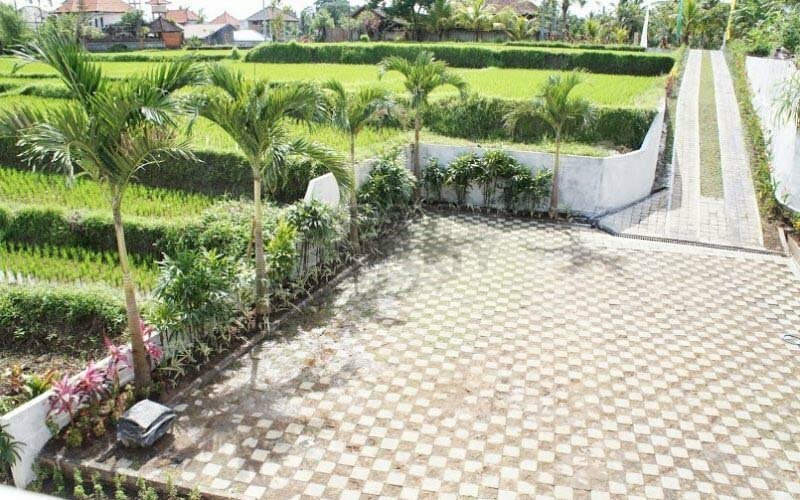 Villa 1 : Land size 160 sqm. Building size 116 sqm. 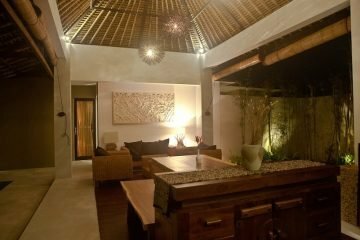 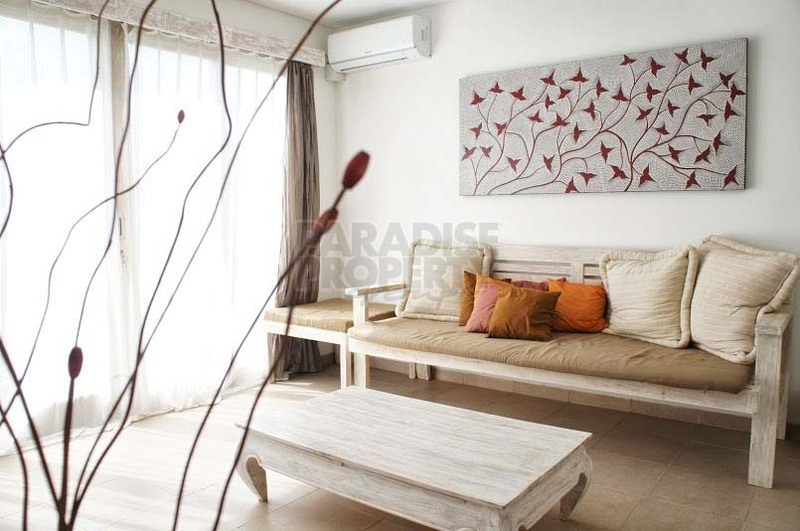 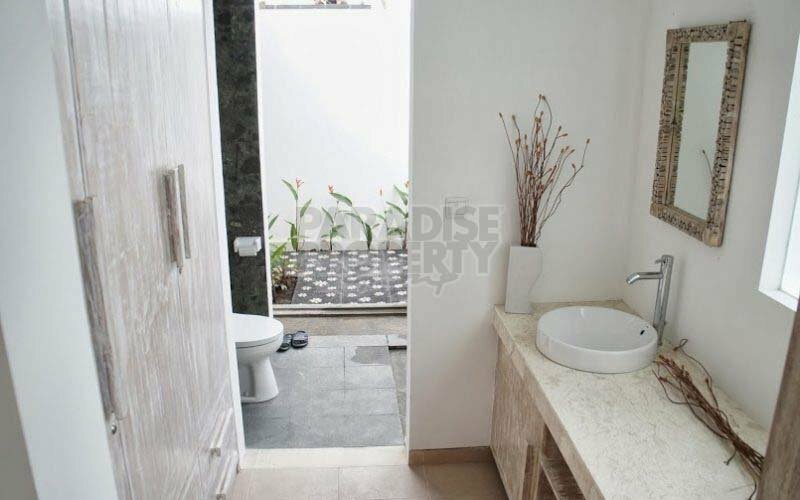 2-storey villa with 2 bedrooms and 2 bathrooms, open kitchen, dining and living area. 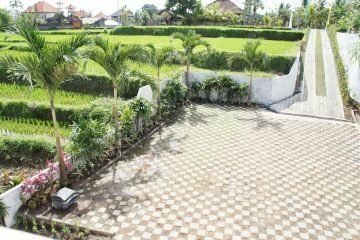 Villa 2 : Land size 225 sqm. 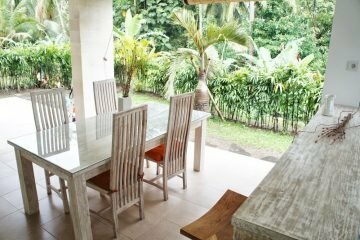 Building size 116 sqm. 2-storey villa with 2 bedrooms and 2 bathrooms, open kitchen, dining and living area. 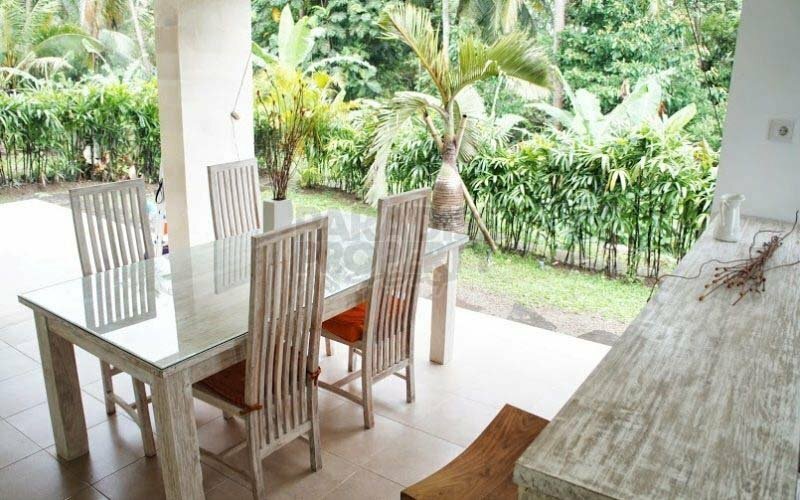 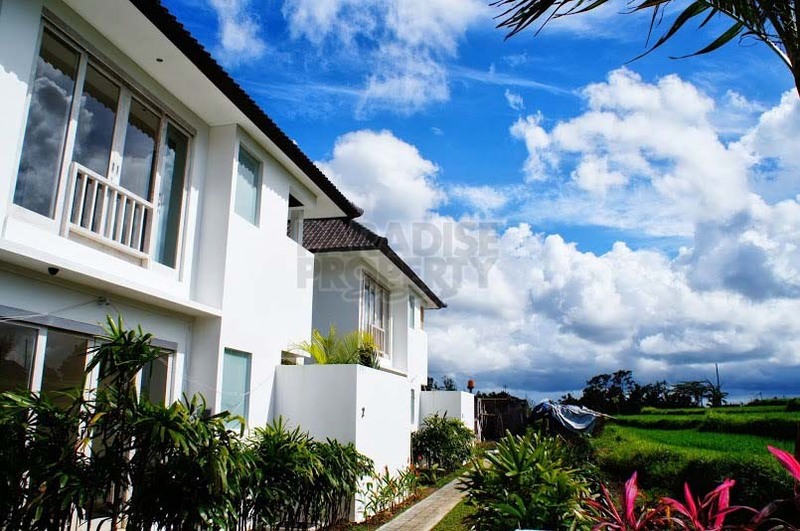 Villa 3 : Land size 220 sqm. Building size 116 sqm. 2-storey villa with 2 bedrooms and 2 bathrooms, open kitchen, dining and living area. 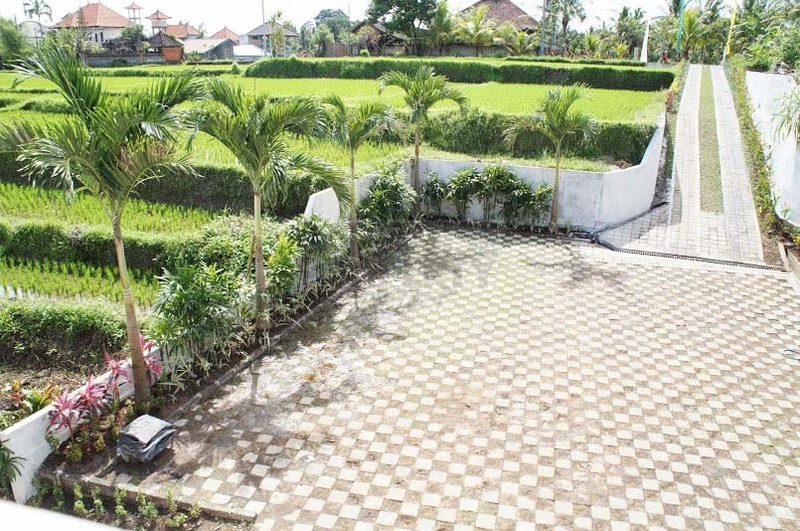 Villa 4 : Land size 540 sqm. Building size 146 sqm. 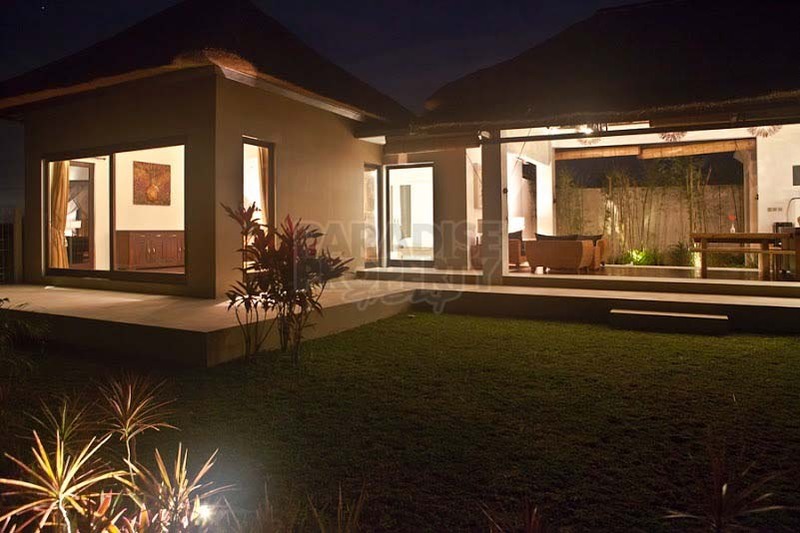 Single level villa with 2 bedrooms and 2 bathrooms, open kitchen, dining and living area. 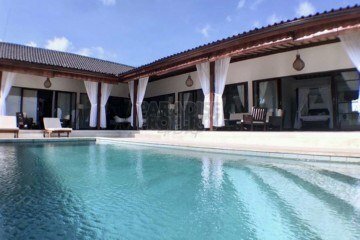 This villa has its own private swimming pool surrounded by a pool deck with comfortable sunbeds amidst a very well maintained large garden with stunning views. 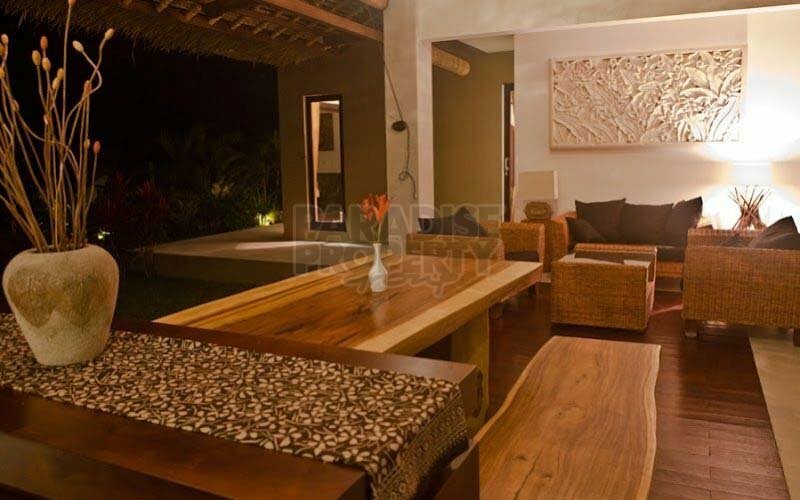 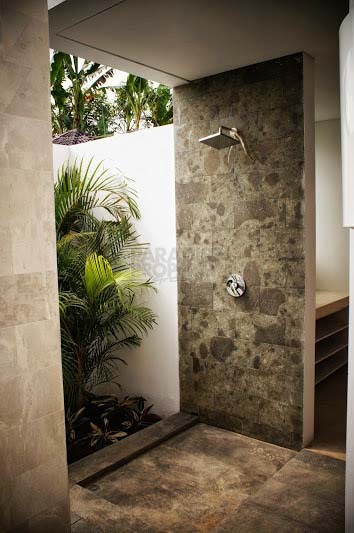 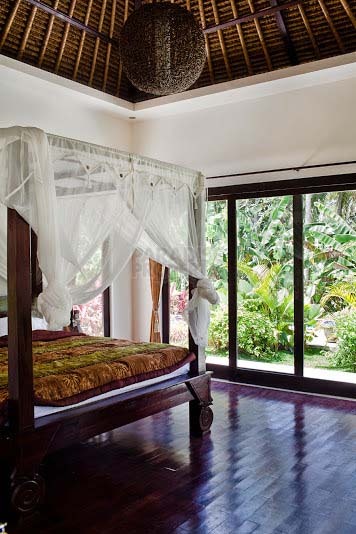 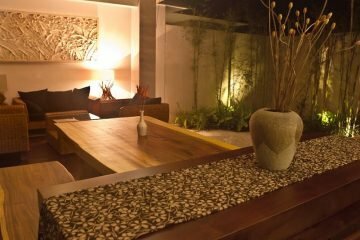 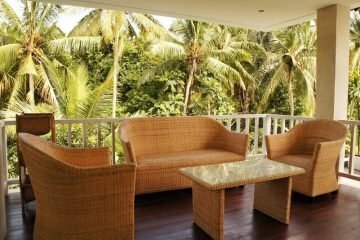 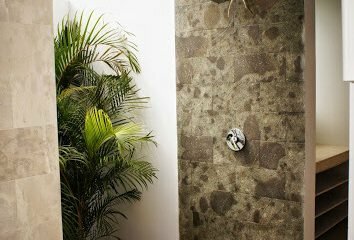 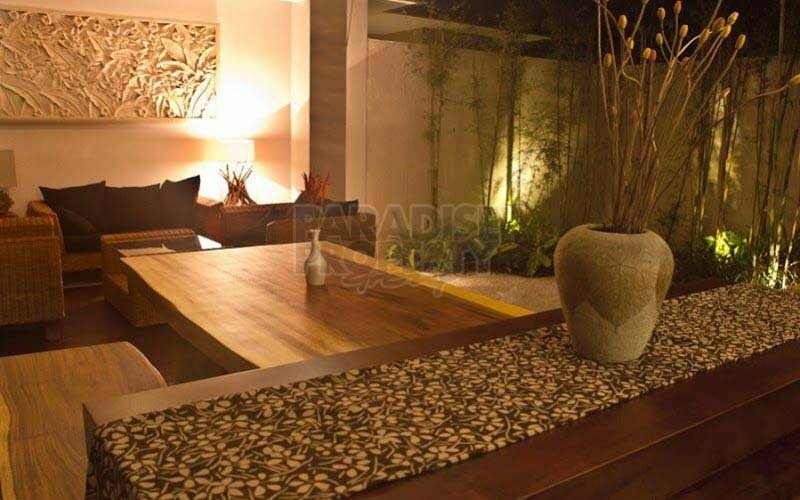 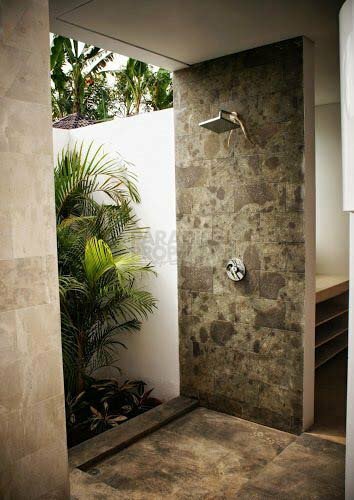 All villas are built to high Western standard and beautifully furnished and equipped. 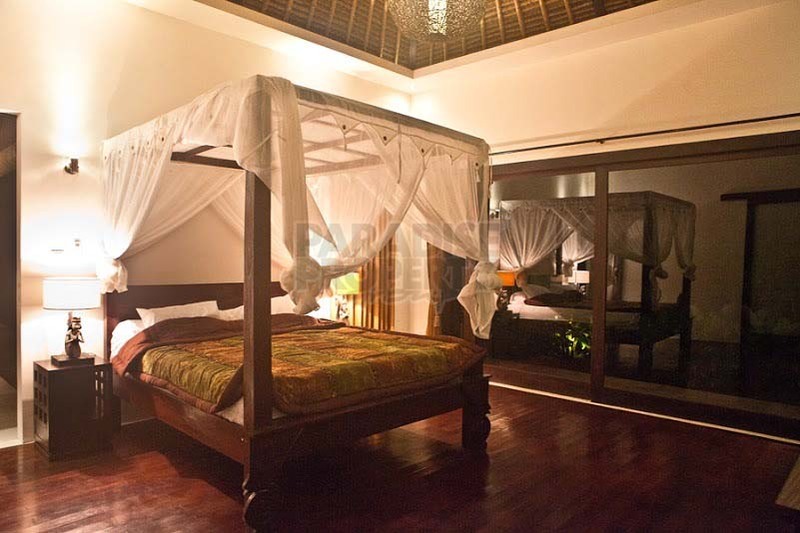 Modern conveniences like fast Wi-Fi, 42 inch TV with international cable TV channels are provided. 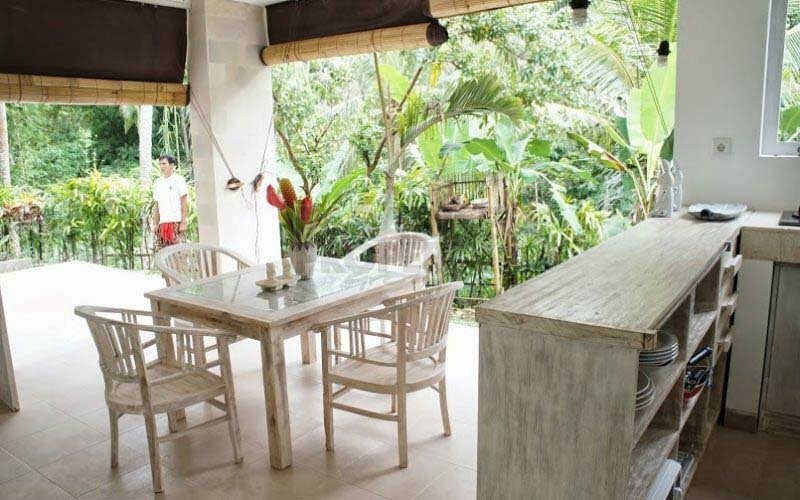 Pondok Wisata (Holiday Rental Buisness License) is available. 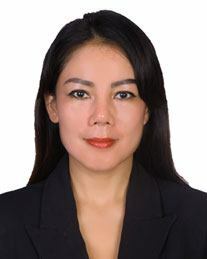 The already well established rental business achieves a very good ROI. Leasehold period until April 2032 with a guaranteed 10 year extension.